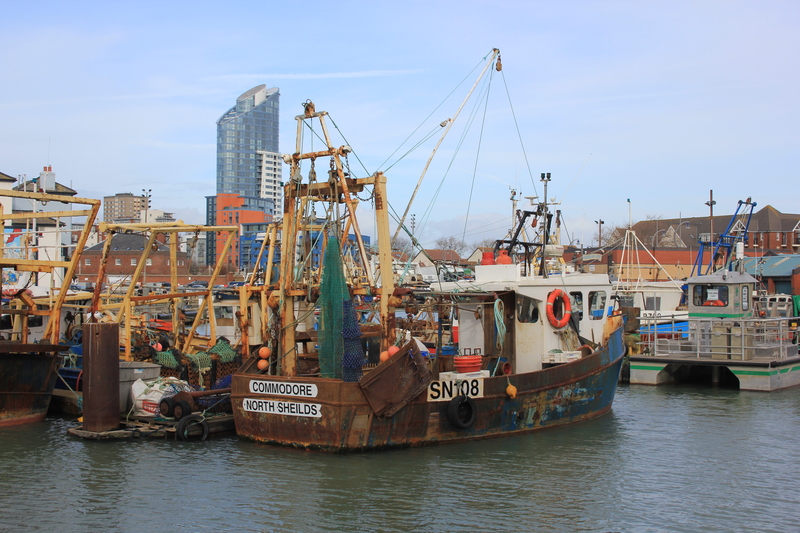 On our way from Old Portsmouth to the “new” Portsmouth we saw something – a fishing boat. It was fitting that this boat sat somewhere between Old Portsmouth and the “new” Portsmouth, because the boat itself was somewhere between old and new. It must have felt very comfortable in this particular spot! We walked into Gunwharf Quays and around the back of the Spinnaker Tower. 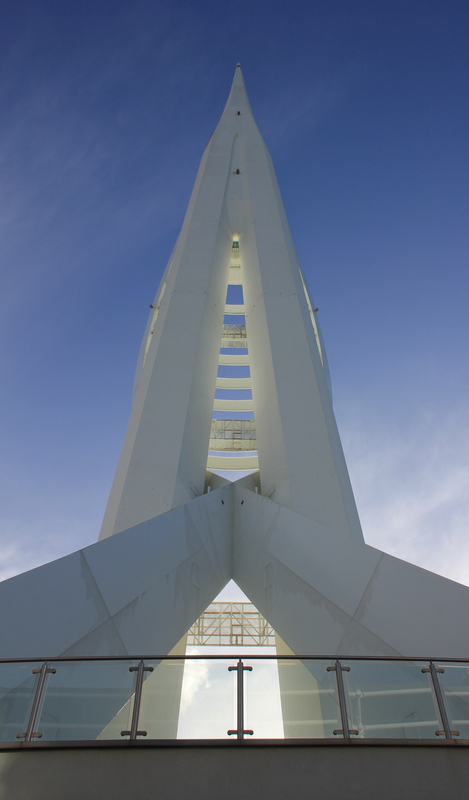 Even the backside of the Spinnaker Tower is breathtaking! Of course we had visited the Spinnaker Tower a few weeks back so did not stop today. 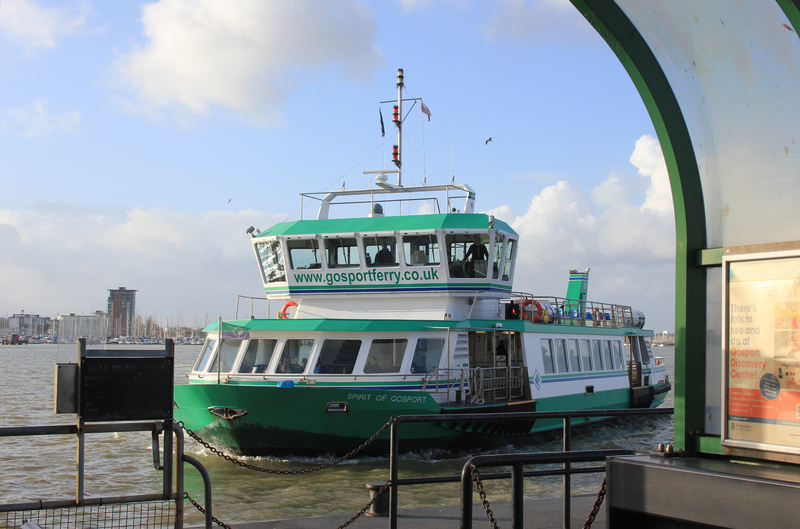 Instead we carried on to the Gosport Ferry terminal. The ferry was running every 15 minutes, despite the fact it was a Sunday. Look! Here is comes! As much as we had enjoyed Portsea Island, it was time to get back to the mainland and continue on our way. This entry was posted in Hampshire, Islands and tagged coast, fishing boat, Gosport Ferry, Portsmouth, Spinnaker Tower, travel, walking. Bookmark the permalink. Love the fishing boat picture!